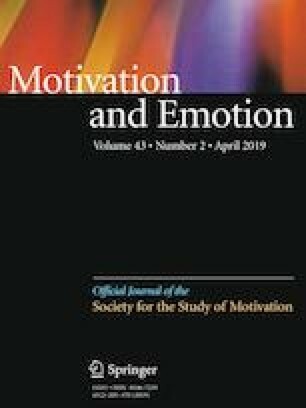 Across three studies, we investigated whether threats to belongingness influence the tendency to use social relationships as a source of meaning in life (MIL), and in turn, perceived levels of MIL. This study builds on previous similar work in this area (e.g. ; Hicks and King in J Posit Psychol 4:471–482, 2009), by explicitly measuring the tendency to base MIL on social relationships. In Study 1, we found that belongingness was positively associated with both the tendency to base MIL on social relationships and overall levels of MIL. Meanwhile, an exploratory mediation analysis was consistent with the idea that basing MIL on social relationships partially mediated the association between belongingness and MIL. In Study 2, we found that an experimental manipulation of social exclusion reduced both the importance attached to social relationships as a source of MIL and MIL levels (and a similar mediation pattern as Study 1). Moreover, participants experiencing threats to belonging tended to reaffirm MIL through autonomy in a compensation type process. In Study 3, we found that the effect of social exclusion on MIL levels and basing MIL on social relationships was attenuated when the value of social relationships was negated. Implications for future research on social relationships and compensation processes in MIL judgments are discussed. The authors thank Mr. Shuo Yu and Ms. Yuan Tian for their assistance in data collection. The authors are also grateful to Dr. Joshua Hicks for his valuable comments on a previous version of this article. This research is supported by grant from the National Natural Science Foundation of China allocated to the first author (Grant No. 31400899). All the authors declare that they have no conflict of interest. All procedures performed in studies involving human participants were in accordance with the ethical standards of the institutional and/or national research committee with the 1964 Helsinki declaration and its later amendments or comparable ethical standards.